Today, I am posting my mother-in-law's recipe which she prepared for us when she visited few months before. I have normally tasted kootu in which dal looks mushy, but in this kootu dal holds its shape. 1). Wash and peel the sides of the ridge gourd. De-seed and cut into cubes. 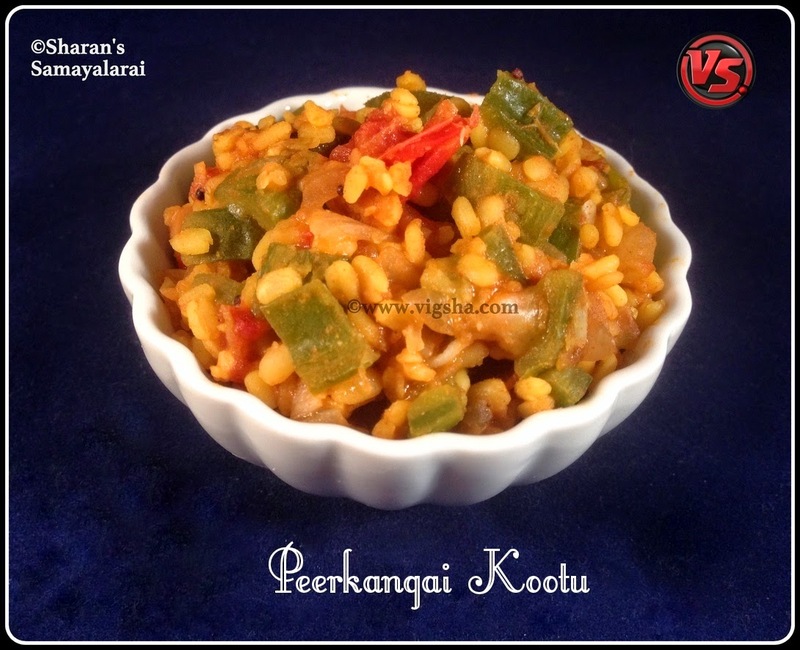 Save the peel for making Ridge gourd peel chutney or Ridge gourd peel thogayal. 2). 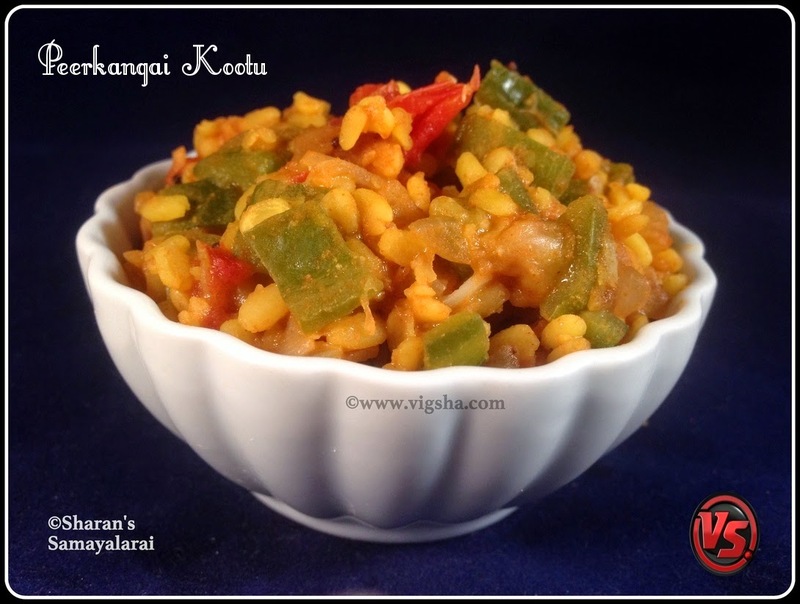 Wash the moong dal, add it in a pan along with a cup of water and turmeric powder. I prefer to cook it on stove top than pressure cooker as it should be fully cooked but retain its shape (not mushy). Once done, switch off and keep aside. 3). In another pan, heat oil and let mustard splutter. Then add onions and saute till translucent. Then add cubed ridge gourd and tomatoes. Mix well. 4). Then add chilli powder and salt, combine well. Sprinkle water and let it cook till the veggie becomes soft. 5). Once it is fully cooked and becomes soft, add the cooked dal. Combine it together and switch off ! Peerkangai Kootu is ready .. Serve hot with steamed rice !